Free Lawyer Referrals from its active database of quality lawyers. Easy explanation of areas of law and legal consultation over phone & email. 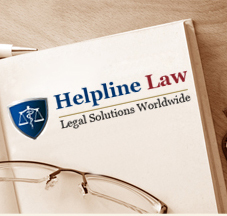 You can find legal help - lawyers / advocates / law firms in 1242 cities throughout India and in 200+ countries worldwide through the Helpline Law free Lawyer Referral Services.